"The fuzzigator just had another whizzident"
"OMG! Why did you glue his ears together? Don't they stand on their own?" "Mommy! Look! It's a hyena!" We call Macy "the potato with legs", my niece calls her a Manatee. "OMG, look at the deer!" "Is he a chihuahua mix? I can totally see some chihuahua in him. 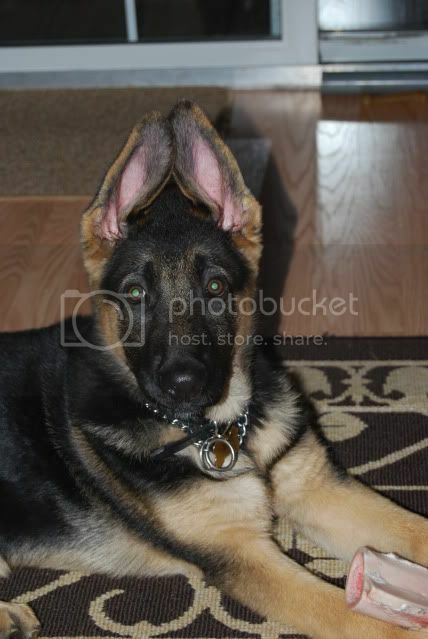 I think its his ears...."
Hubby, to Keefer: "You're like Fabio! You're the Fabio of dogs." Hubby to Halo after seeing one of the Allstate Mayhem commercials on TV: "You're Mayhem, that's what we should have named you."